We’d love your help. 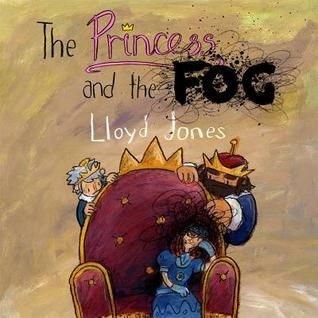 Let us know what’s wrong with this preview of The Princess and the Fog by Lloyd Jones. To ask other readers questions about The Princess and the Fog, please sign up. As an adult that's lived with depression since I was very young, I can say with confidence that this is by far one of the most accurate descriptions of depression and how to deal with it that I've ever read. It covers how gradually a bad bout sets in ("So slowly that nobody really noticed at first.") and side effects such as not being able to do the things that are usually enjoyable. However, my favorite part was when the princess finally figures out how to talk about the fog and her parents tak As an adult that's lived with depression since I was very young, I can say with confidence that this is by far one of the most accurate descriptions of depression and how to deal with it that I've ever read. It covers how gradually a bad bout sets in ("So slowly that nobody really noticed at first.") and side effects such as not being able to do the things that are usually enjoyable. However, my favorite part was when the princess finally figures out how to talk about the fog and her parents take her to the castle Druid who brews some potions for her to try (they also visit the wise elder who teaches her about the fog and helps her talk about it, ie couseling). This is such a great way to normalize medication that helps with depression. For years, I felt guilty to take medication because of the stigmas attached to it. I wish someone had normalized it for me when I was much younger. It begins, as do many good stories: "Once upon a time, there was a Princess." This Princess was happy, loved, and content... until the fog came. This is a great book for promoting understanding and for explaining depression in a way that children can relate. It shows parents - and teachers - things to watch out for, and will encourage children to talk about their feelings without judgement or fear of being thought silly. The story is followed by a short guide for parents and carers which tells the It begins, as do many good stories: "Once upon a time, there was a Princess." This Princess was happy, loved, and content... until the fog came. The story is followed by a short guide for parents and carers which tells them things they may see, how symptoms might appear, and how they can help. It is reassuring to know that picture books about tough issues can be done and done well. The Princess (never named, a subtle writing technique to be more inclusive) had everything a little girl would want until the fog came. Nobody noticed the fog until the Princess was completely surrounded by it. Her parents tried to make her feel better but they didn't know how, trying over and over again to make her happy--until a friend asked the Princess if she wanted to talk. At first reluctant, the Prin It is reassuring to know that picture books about tough issues can be done and done well. The Princess (never named, a subtle writing technique to be more inclusive) had everything a little girl would want until the fog came. Nobody noticed the fog until the Princess was completely surrounded by it. Her parents tried to make her feel better but they didn't know how, trying over and over again to make her happy--until a friend asked the Princess if she wanted to talk. At first reluctant, the Princess eventually opened up and realized that the more she talked about the fog, the better she felt. Some friends and adults just listened, but some had similar things to say and some even offered advice. Wonderful illustrations accompany this empowering--but not belittling--book that may help children open up about their own depression or understand a family member experiencing depression. Talking about feelings and emotions with children is hard, sometimes. If children aren't sure where their feelings come from (and with depression, it's impossible to tell) there's no easy way to help. There are books upon books to help children deal with simple emotions like anger or grief, but nothing like this. The Princess and the Fog casts no judgment on children (or adults!) with depression--it simply provides some manageable advice to help a child climb out, and it does so beautifully. Very simple, very excellent explanation of depression, its causes or lack thereof, and what can help to make it better. I don't think I've seen a better description that doesn't use sarcastic gifs. A great book for dealing with depression, written so children can understand it. A princess gets a "fog" and doesn't want to play or do anything. She feels sad all the time and alone. She discovers talking to others about her "fog" helps some of it go away and makes her feel less lonely. She sets goals for herself each day and that helps. The fog never goes away completely but now she knows how to deal with it. Also contains back matter about moods and depression. This review has been hidden because it contains spoilers. To view it, click here. This book is near-perfect. Visual representation of depression, and not forgetting the also show some of the effects depression has on adjacent friends and family. One illustration in particular, of the titular princess's parents holding a picture of her smiling face in front of her depressed face while they interacted with her, made me tear up. I will be purchasing several copies of this book for gifts as well as one for myself. An age appropriate book for discussing depression with children. It covers a variety of ways depression affects her family and friends and different methods of treatment. The princess is never made to feel ashamed for the way she feels and is accepted for who she is. The author included ways to talk to children about depression and how it might affect them. My daughter has been diagnosed with clinical depression. I can't emphasize what a relief it is to find a book like this. The story is easily accessible for kids and their caregivers. Helps to better understand what it feels like to live with depression. Highly recommended. I just wished I’ve read it 19years ago !! The princess is perfectly happy with her life and then one day...she isn't. Can she get rid of the fog and learn to be happy again? Essentially in this tale, the princess has a normal, princessy life of happiness, until one day she doesn’t. There’s no reason why she shouldn’t be as happy as she was before. Nothing has particularly changed. But she doesn’t feel like doing the things she used to enjoy. She doesn’t feel like playing with her friends like she used to. Generally, she just doesn’t feel much of anything good. The author has done a wonderful job here using metaphor and the evocative illustrations to present to children the feelings associated with depression. I’m sure any child who has experienced depression themselves (or seen it in someone close to them) will definitely resonate with the creeping sadness that is represented by the Fog and the ways in which it absolutely changes the Princess. As the friends and family of the princess gather round and support the princess against the Fog in whatever ways they can, the princess slowly begins to come back to herself. By the end of the book, there is hope that the princess can once again experience the happiness she had at the start of the story, with the understanding that with help, the Fog can be kept mostly at bay. I’m not entirely convinced that the end of the book is as strong as the beginning in the way it draws young readers into the world of the depressed person, but this is such a difficult topic for adults, let alone for young children. I applaud the author for addressing such a tricky topic and I think that this book will be a great conversation starter for little ones about depression and, importantly, the things that friends and family can do to support someone who isn’t behaving like themselves. This is definitely worth a look if you work with early years-aged children in any kind of caregiving or educational capacity. 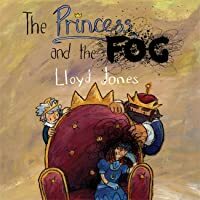 The Princess and the Fog: A Story for Children with Depression by Lloyd Jones is a helpful picturebook for readers of all ages. Once upon a time there was a Princess. She had everything a little girl could ever want, and she was happy. That is, until the fog came. It came slowly and unnoticed, but as it built it changed the princess. Soon she did not want to do her favorite things, or anything really. A persistent friend offered to listen, and soon the princess was able to share with others abou The Princess and the Fog: A Story for Children with Depression by Lloyd Jones is a helpful picturebook for readers of all ages. Once upon a time there was a Princess. She had everything a little girl could ever want, and she was happy. That is, until the fog came. It came slowly and unnoticed, but as it built it changed the princess. Soon she did not want to do her favorite things, or anything really. A persistent friend offered to listen, and soon the princess was able to share with others about the presence of the fog and how it made her feel. They banished the fog, at least for now, and have a plan to keep it from taking over again. The Princess and the Fog is a wonderful book to help explain how depression can sneak up on children and adults alike, and how it can feel. It really can feel like a heavy fog that takes the wonder and joy out of things we once loved. The princess in the story is talented, smart, and well liked before the fog hit, but loses interest in the world around her once it surrounds her. this metaphor is just about perfect for depression, and the illustrations do a great job of capturing the emotion and thickness of that fog. The Princess and the Fog: A Story for Children with Depression by Lloyd Jones is a helpful picture book for readers of all ages. It begins: "Once upon a time, there was a Princess." This Princess was happy, loved, and content... until the fog came. Soon she did not want to do her favorite things, or anything really. A persistent friend offered to listen, and soon the princess was able to share with others about the presence of the fog and how it made her feel. She went to the `doctor`who whipped The Princess and the Fog: A Story for Children with Depression by Lloyd Jones is a helpful picture book for readers of all ages. It begins: "Once upon a time, there was a Princess." This Princess was happy, loved, and content... until the fog came. Soon she did not want to do her favorite things, or anything really. A persistent friend offered to listen, and soon the princess was able to share with others about the presence of the fog and how it made her feel. She went to the `doctor`who whipped something up (medication) and they banished the fog, at least for now, and have a plan to deal with it when it makes periodic returns. This is a creative and entertaining book that tackles a serious topic/issue that many people do not want to deal with and is often not recognized, but depression is real and not only do adults deal with it but so do children and teenagers. This book describes and illustrates simply and beautifully the onset of depression, the experience of it at its worst, and the various self-help methods available to deal with it. More importantly, 'A Guide for Parents and Carers' at the back of the book and written by medically qualified professionals does differentiate between low mood and depression, assisting in defining the two. A great book for families dealing with the issue of depression or classrooms where a student has depression. "Once upon a time, there was a Princess." This Princess was happy, loved, and content... until the fog came." There was a Princess. She had everything a little girl could ever want, and she was happy. Until the fog came... This fog is not an ordinary fog. It's dangerous because it attacks the princess' mind. It really can feel like a heavy fog that takes the joy out of things we once loved. Surrounded by the fog, the princess loses her interests in everything she loved before. She also doesn't wa "Once upon a time, there was a Princess." This Princess was happy, loved, and content... until the fog came." There was a Princess. She had everything a little girl could ever want, and she was happy. Until the fog came... This fog is not an ordinary fog. It's dangerous because it attacks the princess' mind. It really can feel like a heavy fog that takes the joy out of things we once loved. Surrounded by the fog, the princess loses her interests in everything she loved before. She also doesn't want to play with her friends like she used to. I love how the author connects the fog with something we call depression. The author, Llyoyd Jones, describes everything in this book with metaphor. People who don't know the symptoms of depression will know right away after looking at the illustration. The illustration has a georgeous way to capture the emotion and thickness of that fog so that it can be relatable. The story can be a great starting point for explaining depression to all children, especially those who may have a parent or close family member with depression. In the back of the book, there is a guide for social workers, psychologists, psychiatrists, counsellors, arts therapists, pastoral care workers and school staff, as well as parents and carers by clinical paediatric psychologists, Dr Melinda Edwards MBE and Linda Bayliss. This guidelines consists of things they may see, how symptoms might appear, and how they can help. I am very familiar with childhood depression (not to be confused with periods of low mood which are perfectly normal)having lived with it myself from as young as 11, and having very close contact currently with four children under 16 who also live with depression and receiv Any good book that opens up about mental health, particularly child mental health, and brings it into the public eye is a five star hit in my opinion, and this is one of the first examples of its kind that I have come across! A fog is how I have always described depression and this book describes and illustrates simply and beautifully the onset of depression, the experience of it at its worst, and the various self-help methods available to deal with it. More importantly, 'A Guide for Parents and Carers' at the back of the book and written by medically qualified professionals does differentiate between low mood and depression, assisting in defining the two. The princess and the Frog is a significant story that handles a necessary matter. It tells a story of a young princess and how the "fog" overcomes her. With wonderful illustrations, simple and just. Its style spoke to children. I liked how depression is represented by the fog, it made things easier to understand, in the little minds as well as the old ones. I liked how with that it gave the children a way to identify it. And how everything resolved and the end was uplifting, and it showed a truth about depression. It is reassuring to know that picture books about tough issues can be done and done well. The Princess (never named, a subtle writing technique to be inclusive) had everything a little girl could want until the fog came. Nobody noticed the fog until the Princess was completely surrounded by it. Her parents tried to make her feel better but they didn't know how, trying over and over again to make her happy--until a friend asked the Princess if she wanted to talk. At first reluctant, the Princess eventually opened up and realized that the more she talked about the fog, the better she felt. Some friends and adults just listened, but some had similar things to say and some even offered advice. The Princess and the Fog, subtitled A story for children with depression, reads like any picture book. A princess has friends, loves to play, read books, go to school, and just be a princess. Suddenly there is a fog that slowly overcomes her and threatens everything she does and enjoys. Is this an evil curse from a witch? Will she defeat the fog? Can anyone save the princess? Read and find out how storybook and real-life ‘evils’ can be defeated little by little with the help of those close to yo The Princess and the Fog, subtitled A story for children with depression, reads like any picture book. A princess has friends, loves to play, read books, go to school, and just be a princess. Suddenly there is a fog that slowly overcomes her and threatens everything she does and enjoys. Is this an evil curse from a witch? Will she defeat the fog? Can anyone save the princess? Read and find out how storybook and real-life ‘evils’ can be defeated little by little with the help of those close to you. A note at the end of the story discusses signs of depression in children. It also provides valuable advice to parents seeking for ways to help a child who might display signs of depression. This book should be available everywhere. I will definitely be buying it for our school library. The main character is a princess who finds that depression (the fog) has taken over her life. She is unhappy and doesn't want to do any of the things she previously enjoyed. One day, a friend stops by and tries to get her to join in the fun things they used to do. She doesn't want to. Finally, he asks if she'd like to talk. At first she isn't sure, but after opening up to her friend she starts talking to everyone. She learns that she isn't the only person who ever went through this, and that a The main character is a princess who finds that depression (the fog) has taken over her life. She is unhappy and doesn't want to do any of the things she previously enjoyed. One day, a friend stops by and tries to get her to join in the fun things they used to do. She doesn't want to. Finally, he asks if she'd like to talk. At first she isn't sure, but after opening up to her friend she starts talking to everyone. She learns that she isn't the only person who ever went through this, and that a lot of people care about her and want to help her get well.The suggestions for getting better range from getting out there and doing things to taking a potion. This book is an excellent resource for parents, teachers, and those in the field of child psychology. It's often difficult for children to conceptualize mental illness, and "the fog" is a perfect way to talk to a child about depression without the (often stigmatizing) label. Books are such a wonderful way to start conversations with our children, and this one makes that conversation much more accessible for young children. I would recommend this to all families who deal with depression-- whether This book is an excellent resource for parents, teachers, and those in the field of child psychology. It's often difficult for children to conceptualize mental illness, and "the fog" is a perfect way to talk to a child about depression without the (often stigmatizing) label. Books are such a wonderful way to start conversations with our children, and this one makes that conversation much more accessible for young children. I would recommend this to all families who deal with depression-- whether it be parent, child, sibling, friend, etc. Aside from the content, the language is simple and easily understood, the illustrations are quirky and interesting, and the characters are easily relatable for young readers. Lloyd Jones is an illustrator, artist and designer from the South of England. He was born in 1987 and will probably die at some point. Common themes in his written and visual work include depression, colour, humour and video games. Lloyd's first non-self-published-and-stapled-together-in-a-spare-room actual book, The Princess And The Fog, is a children's book to help young readers live with depres Lloyd Jones is an illustrator, artist and designer from the South of England. He was born in 1987 and will probably die at some point. Common themes in his written and visual work include depression, colour, humour and video games. Lloyd's first non-self-published-and-stapled-together-in-a-spare-room actual book, The Princess And The Fog, is a children's book to help young readers live with depression and has been met with positive reviews from children, adults with and without depression, and mental health and psychology specialists alike.